Hosted 10 – 13 October 2018 at London’s iconic Regent Street Cinema we’re bringing to the UK a handpicked line up representing the pinnacle of contemporary surfing – documentaries to inspire, travelogues to stir up the wanderlust and of course some of the most mind blowing surfing accompanied by Q+A’s with heroes and icons of the surf and screen. 14–19 October we’re hosting a series of pop up events across the capital – stay tuned for details!! UK PREMIERE: West Africa has a turbulent and violent past. In a small corner of Sierra Leone, during an Ebola outbreak, a band of brothers find solace, escape and a new found identity through surfing. Big Wata (The Ocean) is an insightful documentary exploring the first and only surf club in Sierra Leone. UK PREMIERE: Featuring the likes of iconic surf filmmaker Paul Witzig, Pipeline photographer Brent Bielmann, watermen Dave Kalama, Jamie Mitchell and Jeff Clarke plus surfers Bronte & Dave MacAulay, and shot on location in Australia, Hawaii and California this is a cinematic exploration of our complex relationships with the ocean. EUROPEAN PREMIERE: Super stylish Kassia Meador blurs the line between surfer, artist & performer. A creative & captivating cinematic masterpiece, combing an epic soundscape and stunning cinematography from Scott Soens & the late Sonny Miller. North Sea charger Sandy Kerr takes us home, an intimate and epic snapshot of surfing the UK’s frigid East coast. UK PREMIERE: In Siberia, winter water temperatures average just 2 degrees, snow lays heavy on the beaches and then there are the blizzards to contend with. This is cold water surfing at its very limits. This ground breaking, visually arresting masterpiece is a two year quest across the vastness of the Russian continent, home to some 37,000 km of coastline. A must see surf exploration. Award winning film fusing cold water surfing, dance & poetry, featuring Easkey Britton. UK PREMIERE: Fired by an explosive cocktail of camaraderie and deep-seated competitiveness, this highly anticipated documentary explores how Slater, Machado, Dorian et al pushed each other to levels of performance previously unseen in surf culture. A frank and insightful look at the rivalries forged and friendships burned in the white heat of competitive surfing. EUROPEAN PREMIERE: Enigmatic surf icon and 4 Time World Champion Lisa Andersen changed youth culture forever. Her combination of style, power, drive and determination showed the world a new way to think about female surfing. Writer and cultural commentator Chas Smith brings us a raw and honest insight into Lisa’s struggle to fulfil the hastily scribbled promise of a run-away teen to be the world’s number one. WORLD PREMIERE: Featuring Mason Ho, Mick Fanning, Taylor Knox & Sal Masekela, a mystical journey through South Africa with some of the most beautiful black coloured surfing crafts ridden by some of the world’s best and most stoked surfers. UK PREMIERE: Paige Alms is an XXL award winning charger and pioneer of women’s big wave surfing. This documentary takes you inside Paige’s world as she trains, mentally and physically for the rigours of a season taking on her favourite wave – the infamous Jaws.  Hosted 10-13 October 2018 at London’s iconic Regent Street Cinema we’re bringing to the UK a handpicked line up representing the pinnacle of contemporary surfing – documentaries to inspire, travelogues to stir up the wanderlust and of course some of the most mind blowing surfing. You can stay for a single screening (£11) OR come and immerse yourself in a whole evening of the very of international surf culture with features, shorts, Q+A’s, icons, filmmakers, drinks and good times (Evening Passes £18).